TUESDAY, Feb. 5, 2019 (HealthDay News) -- Despite their wide use, commercial pain creams and gels don't do much for chronic pain, a new report claims. In fact, the government-funded study, ordered by U.S. Congress, found these creams/gels were no better than placebos, researchers said. "Our study of nearly 400 pain patients suggests that people who use these compounded creams and gels are being taken advantage of, because the scientific evidence to support a benefit is not there," said study senior author Dr. Steven Cohen, director of pain research at Walter Reed National Military Medical Center. The products can cost anywhere from $20 to thousands of dollars a tube, and billions are spent on them in the United States each year, the researchers said. About one-third of U.S. adults have chronic pain, resulting in direct and indirect health care costs of about $600 billion a year, according to Cohen. He is also a professor of anesthesiology and critical care medicine at the Johns Hopkins University School of Medicine in Baltimore. Compounded creams and gels typically contain one or more anesthetic, analgesic, sedative, antidepressant, anti-seizure or muscle relaxant drugs. The study was conducted August 2015 to February 2018 and included 399 participants, aged 18 to 90. Nearly 43 percent were active duty military personnel, and the remaining participants were retired members of the military or dependents, such as spouses. All the participants had pain in specific areas, such as the face, back, buttocks, neck, abdomen, chest, groin and/or up to two extremities. The average length of time they'd had pain was 6.7 years. They had three types of pain: neuropathic, caused by disease or damage to the nerves, such as shingles or diabetes; nociceptive or non-neuropathic, caused by injury to tissue, such as burns or sprains; and mixed pain, caused by damage to the nerves and tissues, such as certain types of back pain. Patients were told to apply either a compounded cream or a placebo cream (they didn't know which they were using) three times a day to the affected area, and to make entries in a pain diary twice a day. The diaries were used to measure the outcomes. After the treatment period ended, the study found no statistically significant difference in pain score reductions between the placebo and compounded cream users. The slight improvements experienced by all the participants were probably due to the placebo effect, Cohen noted. 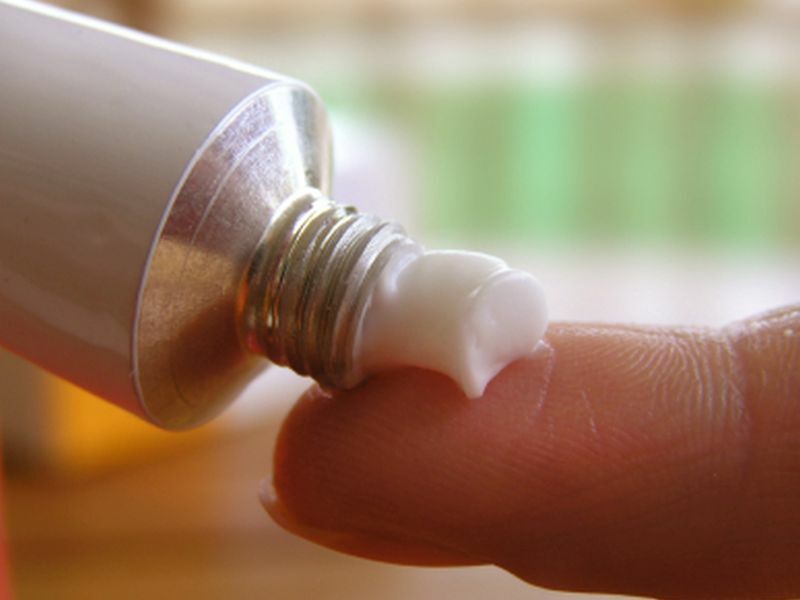 "With the number of research participants studied as long as they were studied, we should have been able to see a statistically significant difference in pain reduction if these creams were actually working," Cohen said in a Hopkins news release. "But we didn't see this in our data," he added. "The pain reduction we saw in patients being treated with the pain cream was nearly the same pain reduction we saw in placebo -- there was just not a large enough difference for the reduction to be scientifically meaningful." The study was published Feb. 5 in the journal Annals of Internal Medicine. The study participants were eligible for coverage under TRICARE, a health insurance plan provided by the U.S. Department of Defense, covering some active duty and retired military personnel and their family members. TRICARE spent $259 million on compounded pain creams in fiscal year 2013, and the cost increased to $746 million in 2014. In the first month of 2015, the Department of Defense spent about $6 million per day on the medications. In 2015, Medicare Part D paid out more than half a billion dollars for the creams, the researchers said.